Decorating one’s room depends on your preferred contemporary bedroom ideas. These ideas are portrayed by natural elements, minimalist designs, and simple color schemes. They are also planned to be low-maintenance with intelligent and sparing aesthetic use of space. Unlike other rooms, modern bedrooms are not mechanical and cold. However, it should be inviting, warm and classic. Recommended colors for the modern bedroom are earthy hues, white, pastels, and mauve. For added style and appearance, you can also combine the mauve and gold, green and brown colors for a natural atmosphere and other combinations. It is also nested to pick comforting and soft fabrics for your table runners, curtains and linens. Different master bedroom decorating ideas offer an ultimate break to explore creative style and design. Your taste should dictate its entire appearance for private and sophisticated design. How can you transform your master bedroom into a sophisticated and comfortable one? 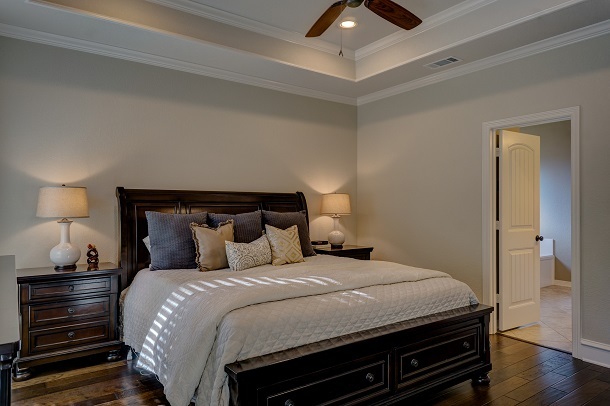 Your large master bedroom should provide enough light and space to manage the visual impact of the floor colors and bold walls. Warm colors like rust orange, burgundy, purple and yellow can make the room feel romantic and cozy. It also lessens the loftiness of the space and comfortable feel. If you prefer to have a neutral wall color, make a bold accent wall with dark hue or pattern. Effective lighting is also best to prevent the space from appearing cave-like. Simply pick a modern lighting like track or cable type. If your bedroom has high ceilings, a chandelier-design fixture can be a stunning option. For added elegance, you can also put some contemporary hanging stuff and accessories. Instead of purchasing a bedroom set made of large pieces of furniture, simply get a single or dual oversized stuff. This can avoid making the entire space feel cluttered. Creating a woody feeling in the bedroom isn’t very common, but you could always use this idea to come up with something unforgettable. Have the walls painted with light wood color: think of the color of mango ice cream. Have dark colored wooden furniture in the room, especially the bed itself. A patterned bed sheet that goes along the colors of the wall would be a perfect addition to the decoration. For blinds and curtains, go for the maroon and all of a sudden you will feel elegance and romance blending. A light colored carpet will also be a great choice in the room – a dark one could make things look too dark in the room. For smaller windows, go for Italian or horizontal blinds, and vertical blinds would be fine for the large window. You don’t require much decoration on the wall, however, adding a big painting right on the wall next to bed rest would be perfect. You could always add a few wedding and vacation photos on the walls, so they don’t look too gloomy and insipid. 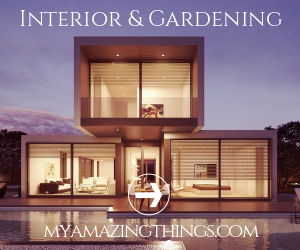 But not everyone has a luxurious bedroom and enough space to bring the most elegant looking furniture into it, and for these people, it’s all about using the interior designing sense when decorating the room. The first thing that needs attention is paint – don’t even think about having dark paint on the walls. Even the dark colored furniture would make the place feel congested and compact. Use light colors, off-white, bluish white, light pink, light green or yellow are just perfect. Use bright bed sheets, and if there isn’t one, create a window in the wall – a midsized one will do. For decorating the walls, go for mirrors or arts done on glass. Mirrors have the magic of making the room feel bigger by creating depth in the walls. Keep the room as simple as possible and remove any additional small items from the room. Not to mention, the bed should not be a big one, and no additional or traditional woodwork is necessary for the bed – keep it small and simple. A light-colored ceiling, preferably a tray ceiling, would make the room bigger than its original size too. Keep the side panels of the windows simple and not too broad. Keep the room well lighted and choose smaller furniture to create the right effect. The last one thing you should consider in the bedroom is that you should feel the comfort as soon as you enter it. The bedroom has some standards, and the standard depends on you, i.e., in what ways do you want to keep that? There will always be a bed in the bedroom, or you won’t call it a bedroom of course. The color of the bedroom should be a light one. The use of off-white, lime and white color is very common in bedrooms. The fastest way to modify a room is by getting an area rug. It adds up a fine look just where your bed ends. Candles are not a rarity – they are perfect to give a relaxing atmosphere that you cannot avoid. A lot of candles are in stores these days contained in pretty jars and colors. Sconces compose your room and with their old and conventional look, give a romantic atmosphere overall – you can add one on either side of the bed. Buy the same material for sconces as for your bed. 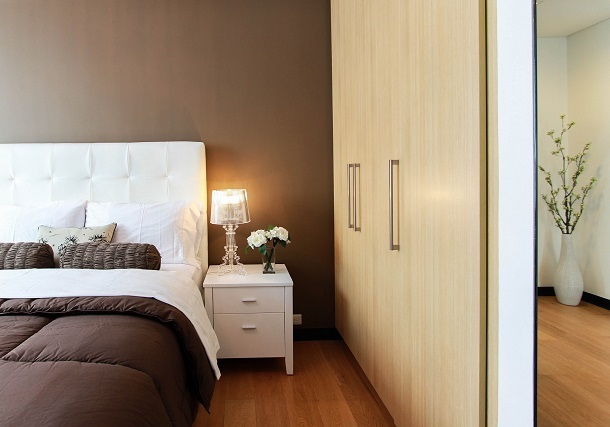 For example, if you have the metal framed bed, buy metal sconces. Mirrors are less costly than the paintings and are suggestible to be in the room. The mirror makes a room look big, and thousands of interior designers have been using them all around the world. Curtains also play a major role in any room decoration. Long curtains add up the beauty and give a great and comfortable look to your bedroom. So, contemporary bedrooms don’t require numerous accessories. Simple decorations are enough, as long as it fits your styles. So, examine the different contemporary bedroom ideas and make the right choice now!